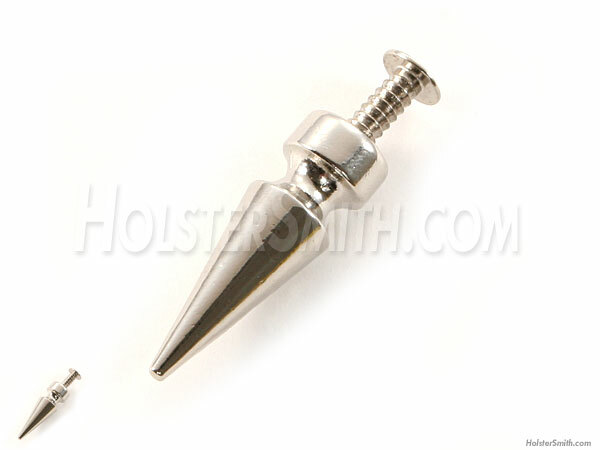 These are the cool looking designer studs that you see on popular leather sheaths, holsters, clothing and gear. 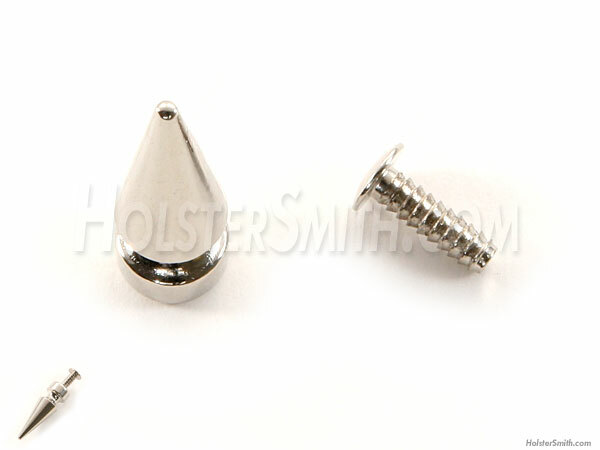 Each comes as an assembly and includes the stud and fastening rivet. All you need is a hammer or pliers to install. The stud is anchored by a male rivet that is pressed into the female side of the assembly. These can be used to reinforce a sheath or holster, or to add style to the finished look of the product.